Reports from Khartoum indicate the deterioration in the health conditions of the Communist Party Secretary-General Mohamad Mukhtar El Khateeb and the Co-President of the Umma Party and Chairman of the Darfur Bar Association Mohamed Abdallah El Doma who wereandnbsp;detained by security authorities following the march in Omdurman and Khartoumandnbsp;and the protest against the hike and rise of prices on Tuesday and Wednesday. The Communist Party, according to its spokesman Fathi Fadul, has estimated in a previous bulletin in Radio Dabanga, the number of detainees to be about 400 in the various cities of Sudan, including party leaders, most notably Omar El Digeir, the President of the Sudanese Congress Party, Sara Nugdallah Secretary General of the National Umma Party and Siddig Yousif, the Chairman of the solidarity committee with the detainees, this along with the detainees and a member of the Central Committee of the Communist Party and Dr. Ibrahim El Amin of the leadership of the National Umma Party. 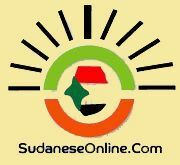 On Sunday, the security services arrested five students from the universities of Khartoum and El Nilein and took them to an unknown destination. 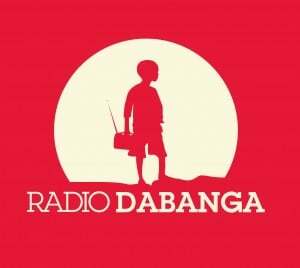 On Tuesday a student leader from Khartoum University told Dabanga Radio that a large force of the security forces arrested four students from Khartoum University, namely Zein Mohamed Mahjoub, Erwa Abbas, Ali Ahmed James of the Faculty of Mathematical Sciences, Musab Abuzeid of the Faculty of Engineering and Abdelmunim El Tahir of El Nilein University. He said that the arrests took place outside the university headquarters after the students completed a workshop organised by a known civil society organisation at El Amarat district in Khartoum. The student leaders called for the immediate release of the arrested students and pointed out to their academic commitments of graduation projects and preparation for examinations. Yesterday Wad Medani Criminal Court in El Gezira state headed by Judge Ali Omar Abdelsalam acquitted two secondary school students, along with another of the charges of public nuisance, dissemination of false news and breach of public peace filed against them by the security services against the backdrop of recent demonstrations against rise of prices. Lawyers of the democratic alliance said that another group is scheduled to be tried in the same court at 10:30 a.m. on Thursday. The security services have arrested dozens of female human rights defenders against the backdrop of their peaceful protest against government policies. On January 10, the security services arrested four female activists during a protest called for by the "No for Women Suppression initiative" including Ihsan Fagiri, Najla Nurein, Rashida Shamseldin and Ihsan Kizam and released them after holding them for five hours. However, they are summoned daily to the security offices from morning until evening. Human rights defenders Ihsan Abdelaziz and Ilham Malik have remained subject to daily summon to the security services since December 12 until today. Among the women still in custody are journalist Amal Habani and Nahid Jabrallah, the director of Sima Centre for Training and Protection of Women's and Children's Rights. Reports indicate that Nahid Jabrallah is suffering from a broken leg and a hand. A witness reported that Amal Habani was hit during an interrogation with an electric stick. The regional coalition of women human rights defenders reported in a statement the arrest of El Ahfad University student Hiba Dafallah, nicknamed Abony.